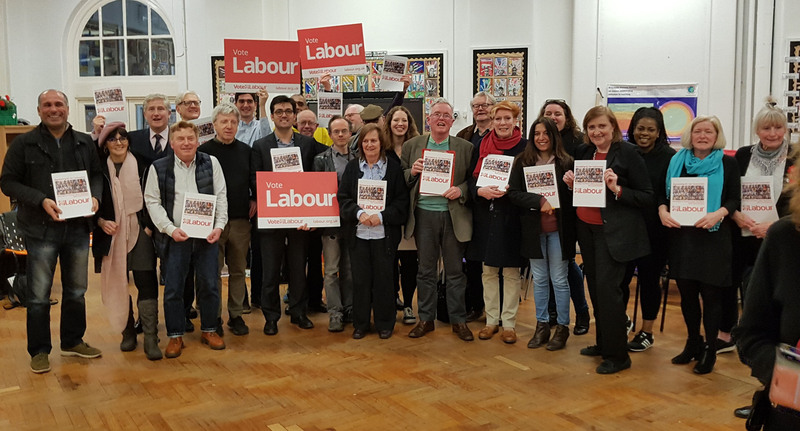 Last night (26th March 2018) we launched our Kensington and Chelsea Manifesto. We set out our plans to deliver real change for the residents of Kensington and Chelsea. Our manifesto aims to revolutionise the way Kensington and Chelsea Council serves it’s residents. ‘We will listen to, respect and act upon the wishes of the electorate and not arrive at decisions in arrogant isolation. The new council will have less money than before, but we will spend the money more wisely and fairly to meet the needs of all our residents’. Want to know more? Read our manifesto here. Madam Mayor (MM) you will not be surprised to hear that the Labour opposition tonight will not be supporting the preposterous, indeed outrageous, idea that the residents of this borough (including those still suffering grievously from the effects of the Grenfell Fire) be made to pay additional Council Tax to put right the damage and horrors caused by this council. To increase the Council tax this year will literally add insult to injury. We are pleased instead to propose our own amendments which entail no increase in the Council’s own precept for the coming year and which will unveil a very different set of priorities for the next 4 years. Firstly, While it is a legal obligation for this current ,disgraced and broken council to set a budget and a Council Tax of the borough, there is nevertheless something not right in this arrangement when we all know that, irrespective of the outcome of the vote on May 3rd, at least half the people taking this decision tonight will not be here afterwards to take responsibility for the results of tonight’s decisions. Emma Dent Coad MP for Kensington voices her concern and anger at the announcement from No. 10 that the inquiry will not consider the wider social issues raised after the Grenfell Fire disaster and will instead run scared from external scrutiny and conduct an internal policy review. “This announcement is precisely what we feared. “We were told ‘no stone would be unturned’ but instead are being presented with a technical assessment which will not get to the heart of the problem: what effects if any the lack of investment into social housing had on the refurbishment project. “The government has delegated this responsibility to an in-house team. We have no confidence whatever in the ability of Alok Sharma and a few politically compromised individuals to take on the task of answering this most important question. “In addition, we are hugely disappointed that the Terms of Reference have been published in the middle of August when so many concerned parties are away and unable to respond. “The closing date for response was 4 August, yet somehow Moore-Bick personally managed to consider the detail of all 550 written responses within a short week, producing Terms of Reference which were then agreed by Theresa May over a weekend. “How can the community possibly have faith in an Inquiry with Terms of Reference so hastily determined by the Prime Minister and her government? On LBC today, Borwick told carnival goers “Don’t bring your knives, don’t bring your guns, don’t bring your acid this year”. Kensington’s Labour MP Emma Dent Coad, who overturned a 7,000 Conservative majority, has stated that her predecessor Victoria Borwick ‘has no mandate to interfere with Carnival’ and should ‘go back to supporting fracking, hard Brexit and persecuting elephants’. Dent Coad says: ‘Borwick’s attempt today to promote her anti-Carnival agenda was frankly pathetic. She has no mandate to interfere and needs to accept that she cannot order anyone around anymore. ‘Post-Grenfell Kensington needs Carnival this year more than ever. It will provide a time and place for us to grieve, pay our respects, and begin to heal. Carnival is an expression of freedom and joy for the Afro-Carribean community that we can all participate in, as well as a major cultural event. The Council recognises that and this year more than ever is fully supportive of our grieving Carnival community. Author Kensington Labour PartyPosted on August 15, 2017 Categories UncategorizedLeave a comment on Hands Off Carnival!